Since it’s All Saints’ Day, we’re going holier than thou… Yesterday’s tricked-out, treat-filled Halloween celebrations were traditionally (and we’re talking as far back as 998), a Christian festival commemorating the eve of All Saints’ today, November 1 (once known as Hallowmass). All Saints’ Day or Hallowmass honors and remembers the dead, particularly the more saintly among the dead. We’re going for bust here, since this terracotta piece started life as one in a series of saintly types, to be used by the artist as jump-off points for works when commissions arose. So even though we’re looking at one lone ranger saint, he was once part of a catch-all collective of All Saints. And what luck we’re stuck with Matthew, who just so happens to be my favourite. 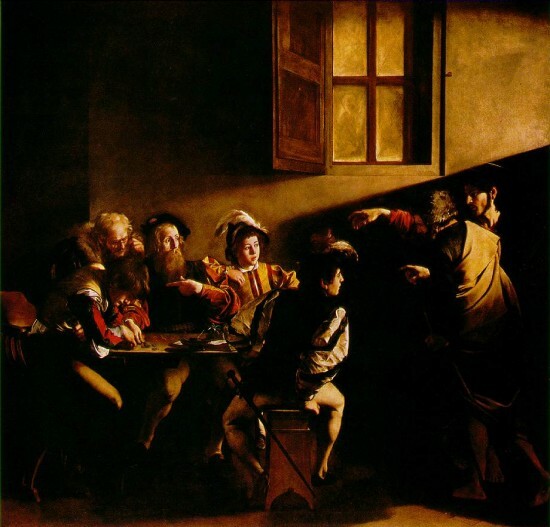 One of the four Evangelists, Matthew was called to the ministry of Christ from the name Levi and life as a Roman tax collector. I adore above all this syrup-soaked take on his transformation by Caravaggio. 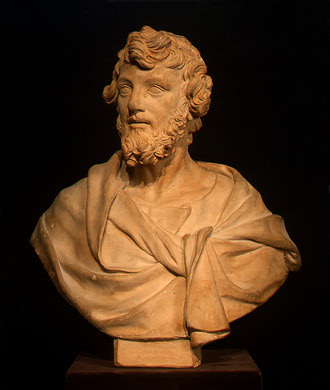 Our bust (c. 1640) is by an artist from Bologna, Alessandro Algardi (1598 – 1654) who, were it not for the bombastic and overreaching Baroque brilliance of his countryman Bernini, would have been seen as the leading Italian sculptor of his time. Algardi’s style, it’s quickly clear, is more sober and sedated than Bernini’s: it’s there in Matthew’s placated features and in the fact that the sculpture sloughs off any rough Roman edges in favor of smooth, youthful skin. The blank gazing eyes (a throw-back to ancient sculpture) tone down the energy further. 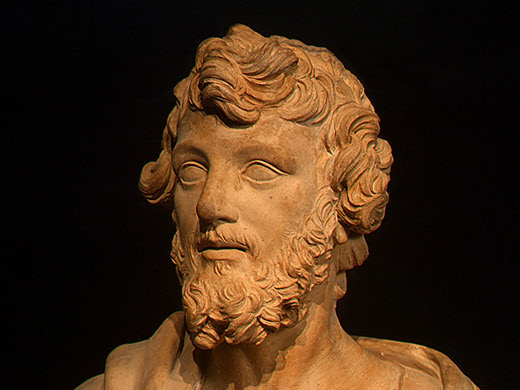 If there’s any Baroque tendency to willful whip and movement, it’s kept in check in the tasteful tousling of hair and beard: here a swirling sea of ridged curls surge over the saint’s head and handsome chin. 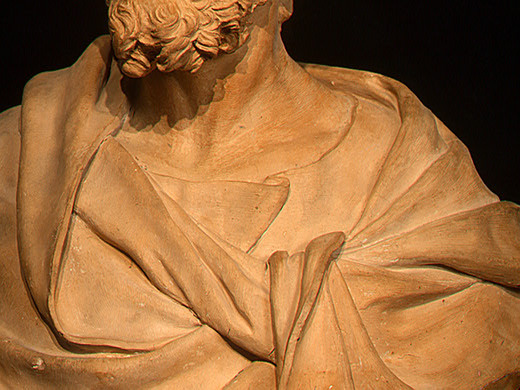 I’d say there’s also some simmered-down attitude in the flaps and furrows folding the toga. Born in Bologna, Algardi traveled to Rome for work but never shook off the signs of his early years. You see in Emilia (the province of which Bologna is the capital), sculptural stone is a scare commodity, so Algardi will have trained for the most part in more readily available, more low-cost modeling clay. It’s interesting to me that while he later got good at wielding rasp and chisel in the face of marble, modeling in clay always came more intuitively to him. There’s a grace and ease in this simple bust that, despite its empty eyes and limited expression, contains both presence and personality. Perhaps it’s made more moving still by the modest material and the possibility it was worked up quickly and casually from life. I think you mean “sedate”, not “sedated”. I am not aware that Algardi made his sculptures whilst under sedation.